The backbone behind any good digital video security system is the surveillance DVR or Digital Video Recorder. It processes the video transmissions sent by the digital video cameras, controls the video cameras, stores the recorded surveillance video footage, and transmits the real-time and recorded video images to the monitor, the internet, or some other output device. 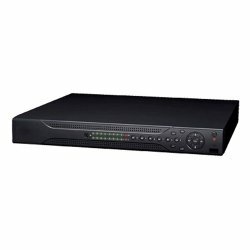 In essence, the surveillance DVR is actually the brain of the security and surveillance digital video system. The surveillance DVR can be directly wired or cabled to the digital video cameras or the cameras can communicate with the DVR wirelessly. In many covert (hidden or disguised) digital video surveillance systems the DVR and camera are an all-in-one compact system. Another method of communication between the DVR and the cameras uses the Internet for the vehicle of the cameras’ transmissions. This means that cameras can be easily placed in a variety of locations that have Internet connectivity and their signal can be sent all the way around the world via the Internet to a Network Video Recorder or NVR (essentially a surveillance DVR designed to work on the Internet with Internet Protocol or IP ready cameras). Regardless of the method used to transmit and receive the video transmission signal from camera to surveillance DVR, the DVR’s chief responsibility is to digitally process the information. It does so by using a unique computer processor Integrated Circuit or IC chip called a Digital Signal Processor or DSP. Digital video consists of nothing more than digital photographs. However, these photographs are taken at a high rate of speed and when presented to the human eye at the same rate, trick it into thinking that we are seeing fluid motion video. Typical high-quality video rate is about 30 photographs, also called frames, per second or 30 fps. Considering how large a typical digital photograph file can be, you can imagine the amount of digital information in a digital video file. Hence, the need for the high-speed specialized processor called the DSP. Consider that a typical high quality photograph may easily contain enough data to make a digital file approximately 1 Megabyte (MB) in size. For a video file that is 30 minutes long that would be 30 fps x 60 seconds x 30 minutes x 1 MB or a file that is 54,000 MB or 54 Gigabytes in size. Multiply this times 8 cameras and in one half hour typical 8 channel surveillance DVR has processed over 432,000 MBs or 432 GBs. Considering the tremendous volume of digital data, one can appreciate very readily why a DSP is superior to an average computer processor since it is designed specifically for the purpose of handling digital video data. The surveillance DVR’s responsibility doesn’t end here though. The DVR processes this data into a digital video file. However, the DVR uses a COmpression/DECompression or CODEC utility to make the file just a fraction of the original size without sacrificing much quality of the digital video. Security Camera King’s surveillance DVRs currently use the latest, most efficient CODEC called “H.264.” The DSP creates the file using H.264 then saves the compressed digital video file on a recording medium, such as a hard disk drive or some sort of portable memory medium like a Thumb drive or SD card. In addition, it may make the file immediately available for viewing in real-time on a monitor connected to the system. If the surveillance DVR makes the video available for viewing over the Internet, it also has further processing to do. The DSP now has to either download the digital video file to the requesting computer, or more commonly, convert the digital file once again into a different type of file called a streaming file, suitable for transmission over the Internet. In addition to all this digital data and file manipulating, the surveillance DVR must also handle the responsibility of coordinating the control of the cameras. Some cameras have Pan-Tilt-Zoom or PTZ functions and the DVR usually instructs the camera what to do with these movements. Other cameras may have audio recording as well that the DVR must also process. In addition to the camera processing, the surveillance DVR is also responsible for the display of the video image, live or recorded. Considering all of these responsibilities, the importance of a high-quality surveillance DVR in a digital video security system becomes readily apparent. 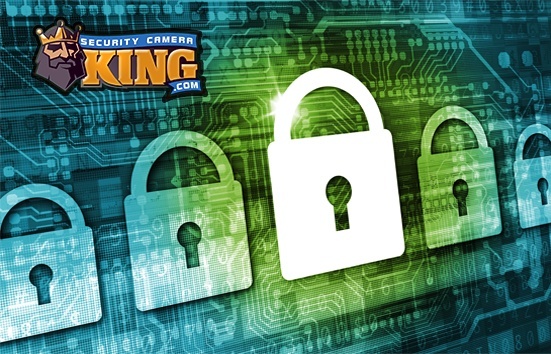 And that’s why Security Camera King only offers the highest-quality DVRs in its digital video security systems.